Four season weight (275 g), worsted wool from Italian mill Guabello. Dark grey color, lighter than charcoal. The subtle texture of the pick-and-pick weave is ideal for odd trousers. 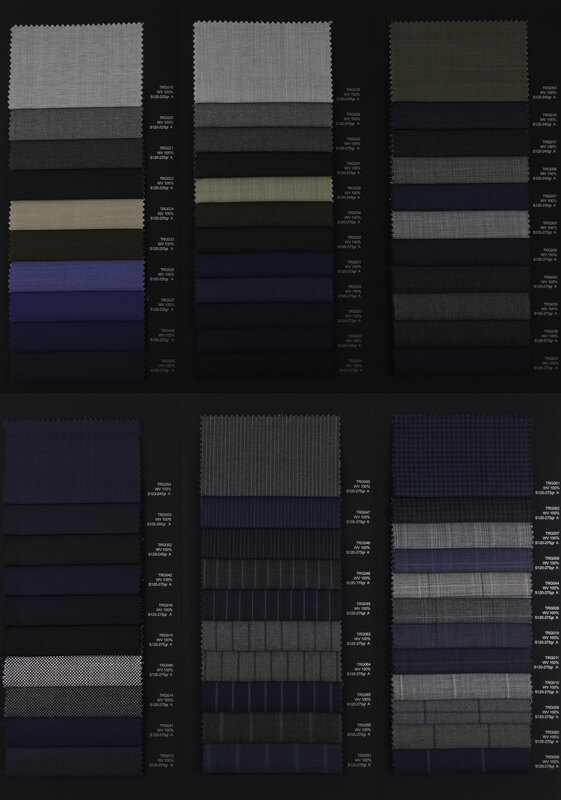 Also available made-to-measure as fabric TRG043. Flat front. Lined to the knee. Split, curtained waistband. Rubber strip to keep shirt tucked. Three-point closure. Hidden waistband lighter pocket. Black horn buttons. Zip fly. Hand-sewn pick-stitching. Unfinished hem.